I’m zooming back out to the longer-term time frames of AUD/USD, USD/CAD, and NZD/USD since these pairs are testing key inflection points. 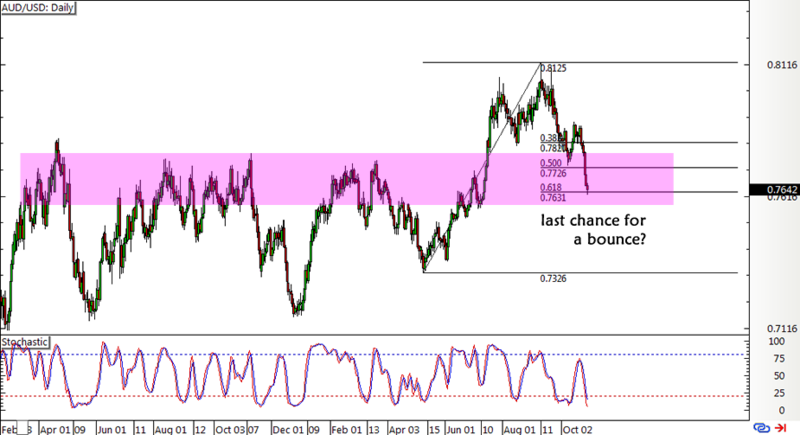 Aussie bears could find reason to pause as this pair is testing the last line of defense for the uptrend correction. Price is still around the area of interest between the 50% and 61.8% Fibonacci retracement levels. Stochastic is heading lower to show that there’s still some selling pressure left, but the oscillator is dipping into the oversold region to signal a possible return for the bulls. If that happens, price could have a shot at climbing out of the resistance-turned-support zone and heading up to the swing high at .8125. This one’s still in correction mode as in the previous week. Price has now made it past the 38.2% Fib level and is gunning for the next potential ceiling at the 50% level or 1.2900 area. A larger pullback could hit a ceiling at the 61.8% Fib that lines up with the falling trend line connecting the highs since last year. 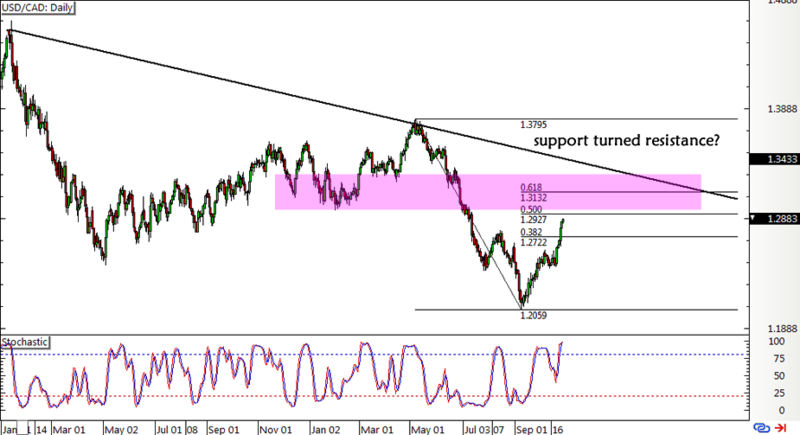 This is also close to the former support around 1.3000-1.3100 that might hold as resistance. Stochastic is already indicating overbought conditions but has yet to turn lower to signal that sellers are regaining the upper hand. If that happens, USD/CAD could make its way back down to the swing low again. Kiwi bears ain’t lookin’ back, fellas! NZD/USD carried on with its downside break from the previous week to show that a reversal from the earlier long-term uptrend is taking place. However, price is currently testing an area of interest at the horizontal support around the .6700-.6900 levels. 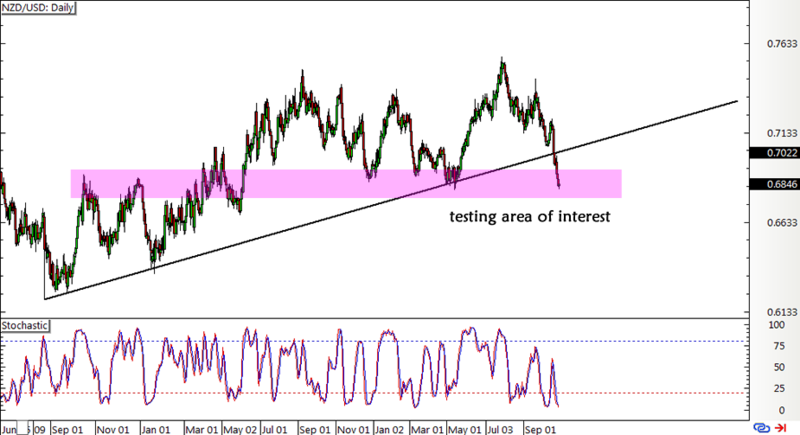 At the same time, stochastic is in oversold territory and could be due to turn higher soon. A bounce could spur a quick retest of the broken trend line around the .7000-.7100 region where more sellers might be waiting to short this pair.